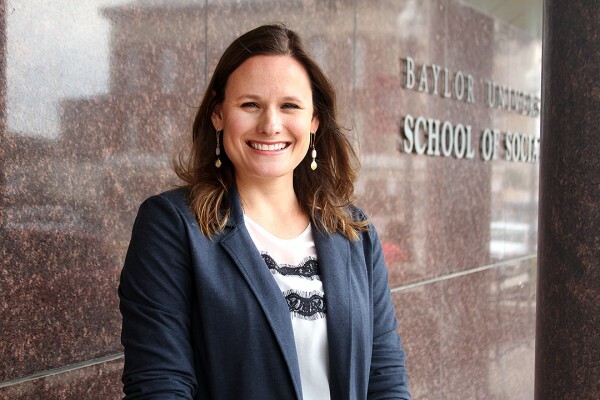 Sarah Ritter is a lecturer and director of the Master’s program in Baylor’s Diana R. Garland School of Social Work. An expert on resiliency and grit, she shares what she’s learned in this post to parents. I wish someone had told me in college that the key to success was learning how to fail – that learning how to fail well, without attaching an enormous amount of shame to failure, would help me to succeed. If I had learned to embrace failure, then perhaps the D in Bio or the failure to connect with my freshman year roommate would have been less overwhelming and defeating. The question is, then, what can we do to build resiliency in students? I have some practical ideas to share based on research, experience and years of social work practice. The first is to help your student face and embrace their failures. This means asking questions that help your student learn from failure, such as: What went well? What did not go as planned? What could I do differently? How will I move forward? Do I need to adjust my expectations, or my commitment? What was in my control, what was outside of my control? These questions will help your students think critically about their failures without making them feel as though they are a failure. The second way to support your student in becoming more resilient is to help them grow their grit. Dr. Angela Duckworth, a psychologist, professor and researcher, states, “Grit is living life like it’s a marathon and not a sprint.” She goes on to say that “grit is passion and perseverance for very long-term goals.” It seems that grit can be developed through understanding a growth mindset (intelligence is not fixed), knowing when to ask for help, not giving up even when things are difficult and staying passionate about your purpose. In fact, according to Duckworth’s research, Grit is a greater predictor of success than talent or intelligence (Duckworth, 2017). The third way to build resiliency in your student is to help them grow their gratitude and find their hope. According to psychologist, author and researcher, Todd Kashdan, “Hope is about energetically pursuing one’s goals and being able to generate multiple strategies to devote effort and make progress” (Kashdan, 2018). Hope for students can mean finding purpose greater than themselves and the ability to see multiple options. Sometimes our first choice does not work, but if we can see many paths forward, then we can find hope for the future. You can support your student by helping them uncover their passion and problem-solve (without doing it for them) when things are difficult. In addition to hope, help your student practice gratitude. This might be the easiest and most powerful way to promote well-being, encourage hope and overcome the fear of failure. While gratitude is easy to practice, it is often difficult to integrate into a routine, but it remains “strongly and consistently associated with greater happiness. Gratitude helps people feel more positive emotions, relish good experiences, improve their health, deal with adversity, and build strong relationships” (“Harvard Mental Health Letter,” 2011). Prayer, journaling, mindfulness and more are ways students can take a few minutes to practice gratitude each day. College is difficult and, sometimes, so is life. Your support and investment in your student now will help them to succeed academically in college and long after they leave Baylor. I have had many other failures since that D my freshman year, and I am still asking myself how I can embrace failure, build grit and grow my hope and gratitude. I find myself coming back to these principles again and again whether I am at work, at home parenting my children or while managing my relationships. As you walk through this fall, may you and your student find many ways to build resiliency, to be hopeful and to be grateful this season. Brown, B. (2016). “Brené Brown Encourages Educators to Normalize the Discomfort of Learning and Reframe Failure as Learning.” About Campus, 20(6), 3-7. doi:10.1002/abc.21224. Duckworth, A. (2016). Grit: The Power of Passion and Perseverance. [video file]. Retrieved here. Duckworth, A. (2016). Grit: The power of passion and perseverance. New York, NY, US: Scribner/Simon & Schuster. In Praise of Gratitude. (2011, November). “Harvard Mental Health Letter.” Retrieved here. Kashdan, T. B. (2018, March 27). “Grit: What is Known, Unknown, and Off the Mark?” Retrieved here.